As winter makes its 2018 exit, it’s time to look ahead toward lighter-weight skin care for springtime! 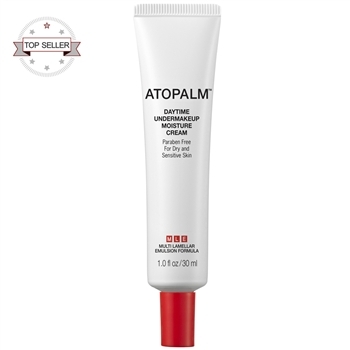 While extremely dry or sensitive skin types may prefer to stick to their ultra rich creams, normal, oily, and combination skin types may be ready for one of ATOPALM’s lightweight formulations. 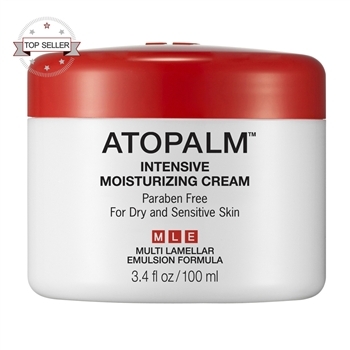 Intensive Moisturizing Cream is our original formula, and is still our #1 best-selling product. It has rich levels of MLE, but a surprisingly lotion-like texture. While the formula doesn’t feel thick, it is powerful enough for use on conditions like eczema. After all, that’s what it was originally formulated for! Intensive Moisturizing Cream makes a perfect daily face moisturizer, but can also be used to spot-treat dry areas on the body, like the knees and elbows. Lastly, the extremely gentle formula can even be applied to the skin of babies and children with dry skin care needs, so be sure to stock up so the whole family is covered this spring. Daytime Undermakeup Moisture Cream is a favorite for spring and summer since it provides a gorgeous dewey finish that perfectly preps skin for makeup application. Who knows — you may love your glowing skin too much to even cover it with makeup after using Daytime Undermakeup Moisture Cream! Moisturizing Body Lotion may not be a face moisturizer, but it is certainly a must-have for spring skin care. Just like a summer body is built in winter, summer skin is nourished in spring! Start using our body lotion now to ensure that skin is healthy and gorgeous come shorts weather. Moisturizing Body Lotion deeply moisturizes skin from the neck down and provides a healthy radiance that appears to glow from within. Use Moisturizing Body Lotion daily to treat everything from basic dehydrated skin to conditions like eczema, or seasonal allergy-related skin upsets. These three products are a great choice for spring skin care due to their lighter textures, nourishing ingredients, and versatile uses. Order today to get your spring skincare routine underway! Previous Previous post: Shop Our Brand New Site! Next Next post: NEW Real Barrier Products for Oily and Acne-Prone Skin!